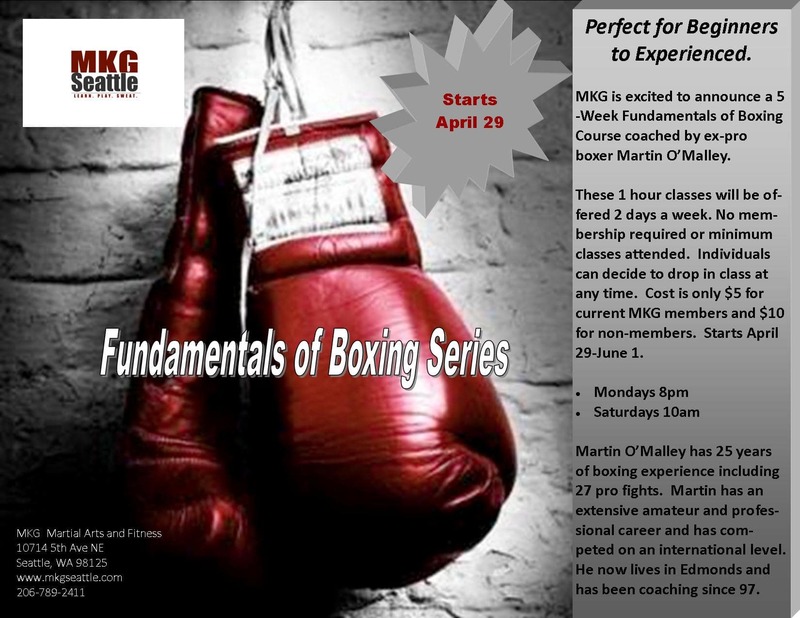 New 5-Week Fundamentals of Boxing course starting Monday, April 29th at MKG Seattle taught by Martin O’Malley. Martin has competed at a high level in the Golden Gloves, Junior Olympics, Goodwill Games and on a professional level. Martin fought Floyd Mayweather Jr. to a close decision in the National Golden Glove finals. The classes will be appropriate for all levels and are also available to non-MKG students. This 5-week course will run from 4/29 to 6/1.